Located in a shaded cove off of Lake Wylie's main channel, this spacious custom built, all brick, executive style home offers a floating dock for your own private pontoon boat. Enjoy boating or fishing with the life lake living offers you in this naturally gentle sloping yard. Surrounding hardwood trees offer privacy from boaters in addition to a fire pit area to enjoy during sunsets. The interior presents lake views, built-ins that you'll appreciate, a gourmet kitchen with plenty of storage and a unique opportunity to enjoy more casual entertaining in a basement second living quarter space. 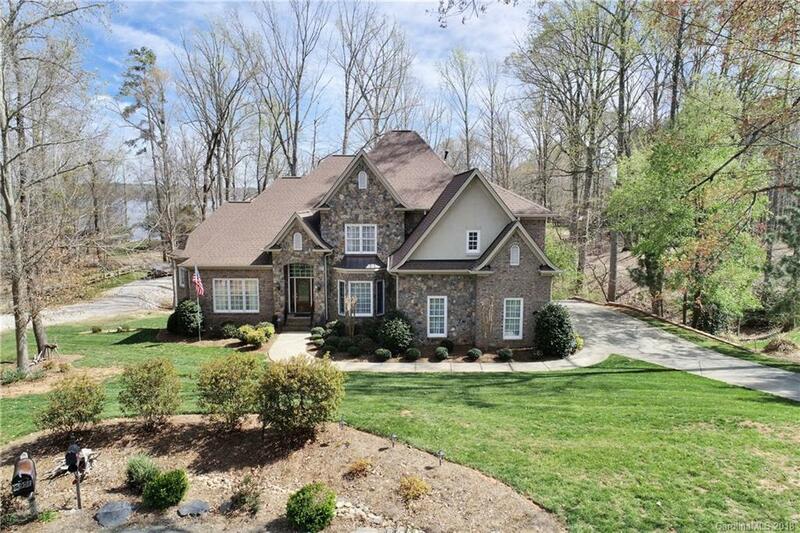 Whether you are looking for a private, waterfront paradise or a beautifully built custom home, this homes offers Lake Wylie living,York County taxes and award winning Clover schools.